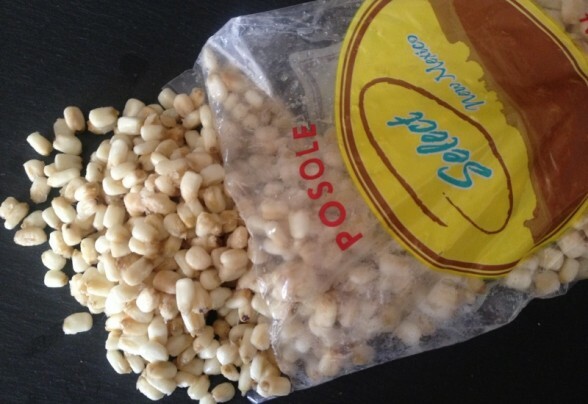 If you like corn tortillas or grits then you will likely adore posole. Posole is the pre-Hispanic name for what we know as hominy – which is derived from an Native American word for “prepared maize”. 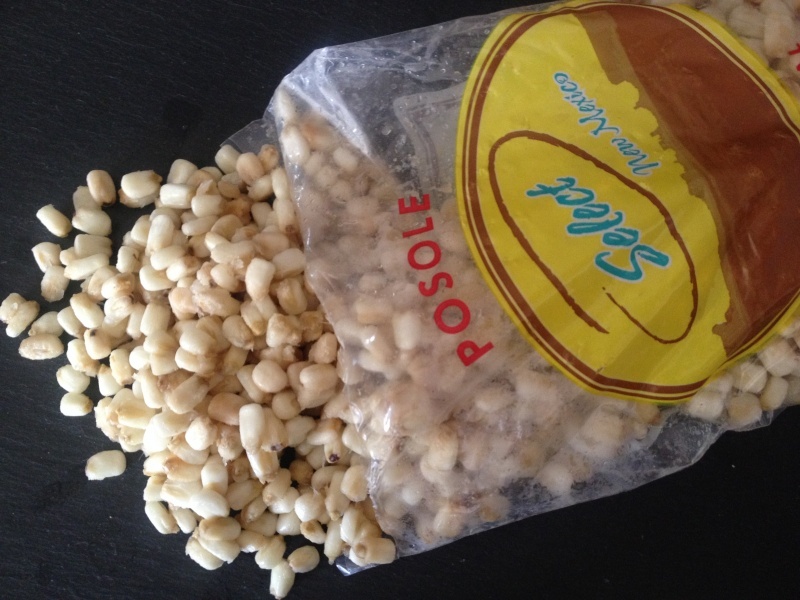 Posole is also known as a stew which can feature chicken or meat, commonly pork. I love hominy. Usually you can only find it canned but I was inspired to make this stoup when I found a frozen hominy from New Mexico Select at my local grocery store. I also love one pot dinners. This frozen variety needs to be cooked before making the soup, which is easy enough to do. The results are decidedly different from the canned variety in that the hominy is more chewy and less creamy. I like them both for different reasons. Canned varieties are softer and more buttery. This soup is so delicious and really easy to make. Perfect for these late summer, early autumn evenings. If you are harvesting copious amounts of tomatillos, this recipe will help you to use some up. My Tomatillo Salsa would also make a great accompaniment. When I do used canned, (and if I can find the yellow variety) I like to add 1 can of white and 1 can of yellow. This a very hearty and easy to make stoup -either on the stove top or in your slow cooker. In a large pot heat the oil and brown the chicken thighs on both sides. While they are browning, prepare the rest of vegetables. Once the chicken browned, remove from the pot and place on a plate and allow to cool. Saute the onions until soft in the same pot that the chicken was browned in, making sure to scrape up any meat bits that may have stuck to the bottom. Sprinkle in the ground coriander, some salt and pepper and stir well. Now add the hominy, tomatillos and stock (or water). Allow to come to a boil, then turn heat down to a simmer. Add the chopped garlic and stir. Pull the chicken meat into shreds, or chop into smaller pieces. Add to the pot and stir. Cook for 15 – 20 minutes. Like most stews and soups, this dish is more flavorful the next day but still yummy the day you prepare it. Serve with freshly chopped cilantro and greens onions on top.